Keep a Child Alive is dedicated to providing life-saving anti-retroviral treatment, care and support services to children and families whose lives have been affected by HIV/AIDS in Africa and India by directly engaging the global public in the fight against AIDS. What started as a very personal incident between two mothers has become a tremendous initiative for change. With over 4,000 children and family members on ARV treatment, over 250,000 people under our care, three orphanages receiving funding, and major clinic sites in expansion, Keep a Child Alive is making a direct impact in the lives of so many who need help. It has a high rating from Charity Navigator. Please donate whatever you can. This week we call your attention to the Matses. There are around 2,200 Matsés living on the Peru-Brazil frontier in the Amazon rainforest. The Yaquerana river runs through the heart of their land, marking the international border that separates their home. But to the Matsés, the streams, floodplains, and white-sand forests make up an ancestral territory that is shared by the entire tribe. They are now under threat from a Canadian oil company. 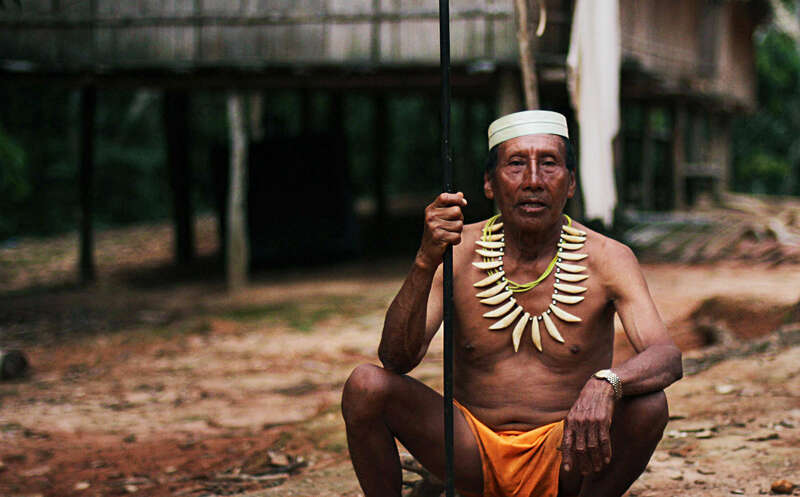 In 2012, Canadian oil company Pacific Rubiales began to explore for oil on land inhabited by the Matsés and neighboring uncontacted Indians. The company’s oil block ‘135’ lies directly over an area that has been proposed as a reserve to protect the uncontacted tribes. The $36 million project will see hundreds of seismic lines cut through 700km2 of forest and wells drilled in search of oil, affecting the headwaters of three major rivers that are essential to the Matsés’ livelihoods. Though the Matsés have repeatedly opposed the company’s work on their land, their protests have been ignored. A second block ‘137’ has been drawn up directly over the Matsés’ land title. Despite the Indians’ protests, Pacific Rubiales is putting huge pressure on the tribe to begin work. Please act to help them as shown at the end of the page on the Matses. This week we ask you to stand in support of an antislavery activist. Andy Hall is a British campaigner with a special focus on the rights of migrant workers. Two years ago he undertook an investigation on behalf of Finnwatch into potential labor abuses at Natural Fruit, part of NatGroup, a Thai company that processes pineapples and supplies retailers around the world. Instead of addressing the allegations published in Finnwatch’s report, Natural Fruit decided to try and silence Andy with lawsuits. He could now face 7 years in prison and $10 million in legal damages for his investigations. Please join the call for justice for Andy Hall. His case could open a floodgate of abuses of Thai workers. Journalist and human rights defender Ms Claudia Julieta Duque has been subjected to intensifying levels of intimidation and harassment in advance of the trial that began on 24 June 2015 in her case against members of the now dissolved Departamento Administrativo de Seguridad – DAS (Administrative Department of Security). Former high-ranking members of the DAS will stand trial accused of the aggravated psychological torture of the human rights defender. - Read more. More information is available in a statement of the Robert F. Kennedy Human Rights foundation. Please write to President Santos at the address given in the AWID page. A template letter is also provided there. Human rights activist Liu Shaoming is being held by police, and the authorities have prevented his lawyer from meeting with him. He is at risk of torture and other ill-treatment. Liu Shaoming was detained shortly after publishing a piece online about his experience during the Tiananmen crackdown in 1989 and his work as a labor rights activist in China. Please act to gain his freedom. Two young men were arrested on 13 June in Tamil Nadu, India, after protesting the arrest of five people for offenses including allegedly belonging to a banned Maoist armed group. They are now being held under the same charge, which carries a possible sentence of life imprisonment. They were denied bail on 26 June and continue to be held in judicial custody. Please protest this violation of human rights and free expression.